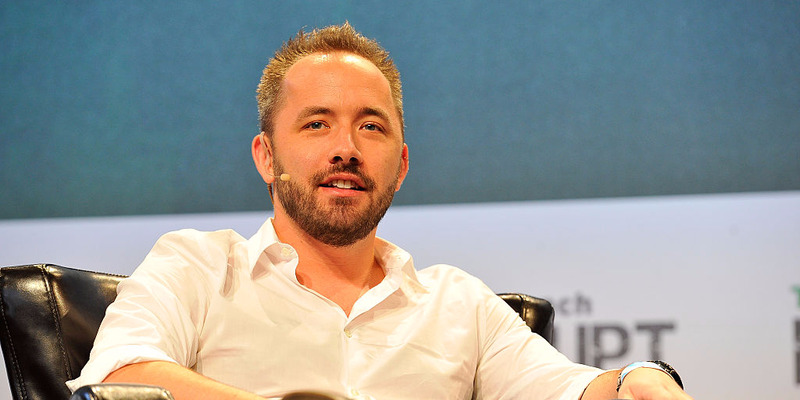 Steve Jennings / Getty ImagesDropbox CEO Drew Houston was among the company insiders selling shares in its initial public offering Thursday. Dropbox has set its public offering share price at $US21, according to The Wall Street Journal. The price, which was above the company’s previously forecast range, gives the company a valuation of $US9.2 billion. Even with strong investor demand, the price wasn’t enough to allow the company’s valuation to match the $US10 billion it was valued at in its last private funding round. The company raised an estimated $US563 million and insiders another $US193 million in the offering. Dropbox priced its initial public offering on Thursday at $US21 a share, which was above its previously expected range. That price price yields a valuation of $US9.2 billion – better than expected, but still below what it was worth in its last funding round, according to The Wall Street Journal. The cloud-storage company raised $US563 million in the offering, assuming it stuck with its previously announced plan to sell about 26.8 million shares. Early investors and insiders, including CEO Drew Houston, hauled in another $US193 million, based on their previous plan to sell 9.2 million shares. Salesforce plans to buy a $US100 million stake in the company subsequent to the offering, but at the same price. The $US21 price was above the $US18 to $US20 range Dropbox forecast in a regulatory document on Wednesday. That range was above the initial $US16 to $US18 range the company proposed earlier in the month, indicating strong investor interest in the offering. That price gives the company a market capitalisation of $US9.2 billion, factoring in all of its outstanding shares, including unvested restricted stock units and shares that underly certain stock options. That’s a bit shy of the $US10 billion valuation the company had at the time of its last funding round in 2014. Dropbox is expected to begin trading Friday under the ticker symbol DBX. The company will have a dual-class stock structure that gives outsized power to certain insiders. Houston, for example, will hold about 24% of the company’s voting power after the offering.